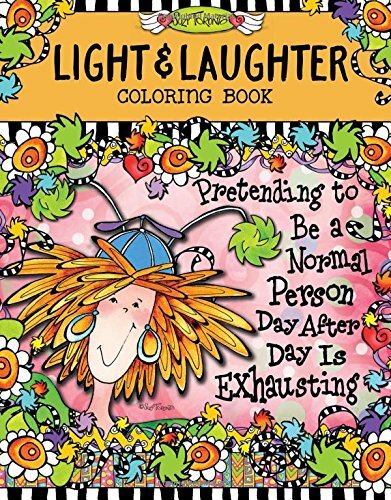 The artist who designed this book is a self-proclaimed “wacky” person and revels in her uniqueness. 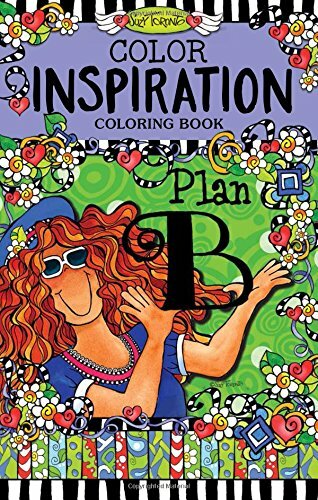 This book is all about inspiration, and you can definitely see the author’s quirkiness coming through in the coloring pages. The book begins with some thoughts from the author, a few of the pages she’s colored herself, and some instructions on how to make each page your own. She shares full color pages of how she colored each page. The coloring pages begin with the left side almost completely blank. There is a quote in light print and a few small lines should you want to write something. The right side is the color page. This book is smaller, an on-the-go size that will fit into a purse or bag. I love the uniqueness of this book. It’s not like most of the adult coloring books out there and that is a good thing. I also really liked the quotes on every page and the space for writing should the mood strike. This book would make an excellent gift, but be sure to get yourself a copy as well. Everyone wants to belong and fit in. But for some of us, that is more difficult and awkward than the normal person. 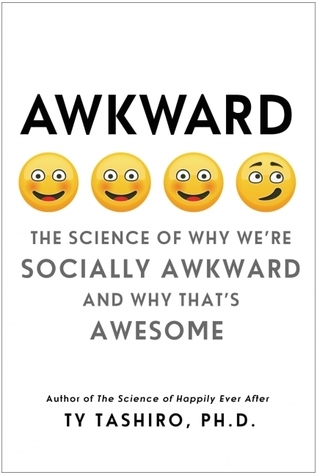 The author, a self-described awkward person, tells us about the science of being awkward and what it truly means to be awkward. He uses antidotes and personal stories to infuse the book with humor and interest. This was not really the book I was expecting, but I thoroughly enjoyed it. I'm not really a science person, but the author was able to make it understandable and truly interesting. I learned a lot and walked away from the book with a smile on my face and a better understanding of how people work and how I can fit in with people who are not like me. I would definitely recommend this book. 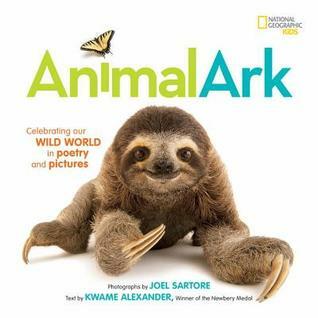 Sweet poetry about the wild animals that inhabit our planet is paired with amazing photography to make a one of a kind book. Each page is full color photography with the celebratory poem woven throughout the book. The poem and pictures are a wonderful way of showing the children what the world around them is like and why it's so important to help protect it. I love this book. It is so awesome that I had to donate a copy to my local school as well. My children (8 and 10 yrs old) initially thought it was a "baby" book, but I found them reading it several times and commenting on the pictures. This is definitely a book that you'll be proud to add to your library. This book is part of a series designed to introduce children to how other people live in different countries and during different time periods. 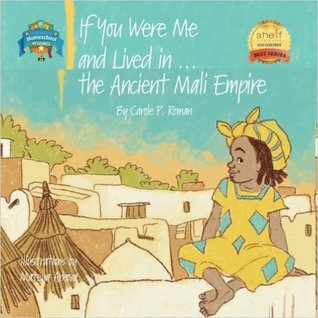 Using a mixture of illustrations and photography, the author talks about children who lived the time of Ancient Mali Empire and what life might have been like if you were a little boy or girl who lived during that time. She talks about location, family, food, and fun. The difficult or unfamiliar words have a pronunciation beside them and are all included in a pronunciation guide at the back of the book. Edmund, a rancher, has been a loner his entire life. In his childhood, it was forced on him. But now he enjoys the solitude. But when he feels God nudging him to check on widow Lula May and her five children, he obeys. His obedience lands him right in the middle of a bustling family and all of the joys and problems that go with it. Edmund now needs to decide which is more important - solitude or love. This was such a sweet story. The author did a great job of creating warmth, tension, or frustration as the scene warranted. There were a lot of characters, but each of them stood out and didn't blend into each other. I loved the interaction between the siblings and their mother. The suspense was just enough to make the story interesting, but didn't detract from the romance. The author did a great job of weaving faith and the importance of family into the story without it being preachy. I especially liked how she showed that family is who you choose to love, not the ones who share your genetics. 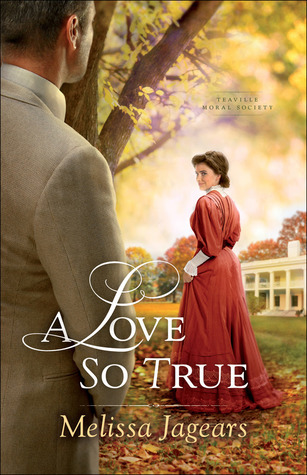 Overall, this was a clean romantic story that readers of Christian fiction or historical romance will love. Grace has always longed for children. But as a young widow, who is now managing her farm and taking care of her sick father, she knows it isn't likely to happen. Robert arrived in town with three bedraggled and dirty children. All of them, including Robert, are tired and resentful of the circumstances that forced them together. 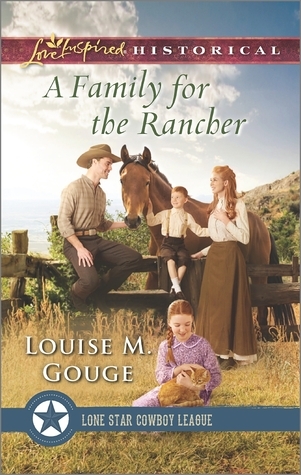 Robert takes a job as Grace's ranch hand, but doesn't let her know that he comes with three children. 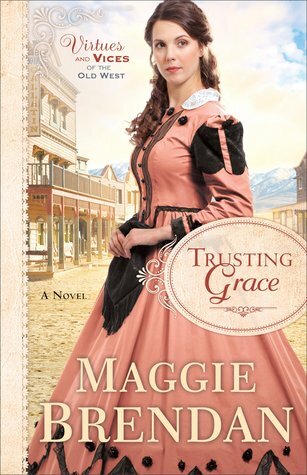 Both Grace and Robert must learn to trust again before they can be fully happy with the life God had blessed them with. I loved this book. It checked all of the boxes for me. Sweet romance, likable characters, beautiful setting, just a small amount of drama, clean, faith filled plot, and some adorable children thrown in for extra fun. 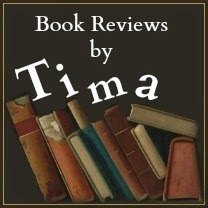 The author wove humor and provoking thoughts into what at first seemed a light story. I couldn't put the book down and am now eagerly waiting the next book. This book is part of a series designed to introduce children to how other people live in different countries, during different time periods, and in different places. 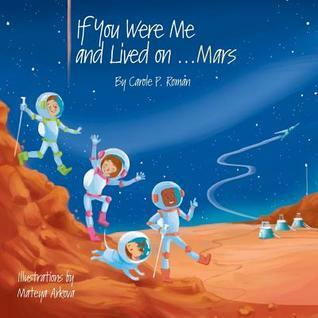 Using a mixture of illustrations and photography, the author talks about children who might someday, in the future, live on Mars. She talks about the location, family, food, and fun. The difficult or unfamiliar words have a pronunciation beside them and are all included in a pronunciation guide at the back of the book. The Old Testament scriptures pointed to a Messiah who would come and rescue the world. The author and the artist were raised in Jewish homes and came into this collaboration with a background of looking towards the Messiah. The left pages contain a Hebrew word to color, the interpretation of the word and then a thought and scripture to tie them together. 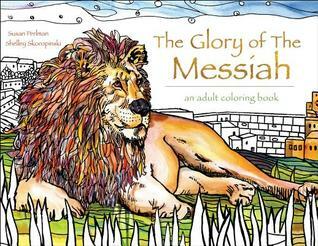 The right pages are the coloring pages that fit with the Hebrew word on the preceding page. The book could be used as a supplement to a devotional since it follows a theme and has key words and scriptures. I liked the concept of the book and thought it was unique and interesting. The drawings are more simplistic and large than I am used to coloring, but I think they fit well with the theme and were still enjoyable. The pages are thick card stock and didn't bleed or have any ghosting, even when I used markers and gel pens. Overall, this was a great book that I enjoyed working through. It would also make an excellent gift. 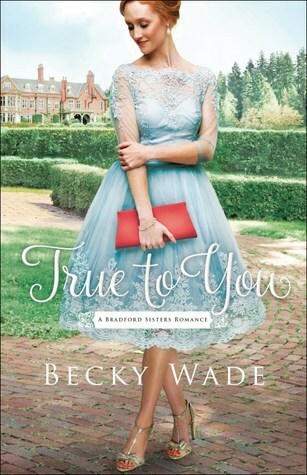 I received a copy of this book from Bethany House Publishers. All thoughts expressed are my own. Amy Somers is now back home in Misty Willow. She's staying in her grandmother's cottage while she regroups and tries to figure out where she's headed in life. She misses the big city in some ways, but she can't go back to who she was and what she did. When she sees Gabe again after many years, she pretends she doesn't know him. It isn't because of his recent release from prison. It's because she needs to protect her heart. And who would want her anyway, when they realize what type of person she is. This was a sweet, but complicated story. I've read one of the previous books, so I knew the characters. But it took me a few chapters to refresh my memory and place everyone again. There are still complications going on with the land and the people who live there. The author added drama, a little bit of mystery, and lots of faith and romance. The characters fit their parts well and played off of each other to the benefit of the plot. I enjoyed the story, although it did have some sad elements. 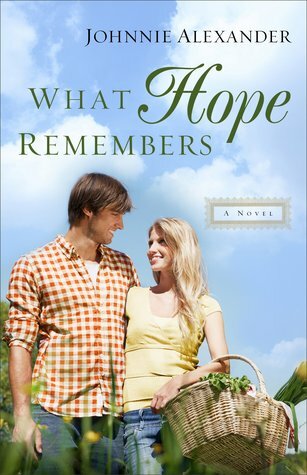 Overall, readers who enjoy Christian fiction with a touch of drama and sweet romance will enjoy this book. 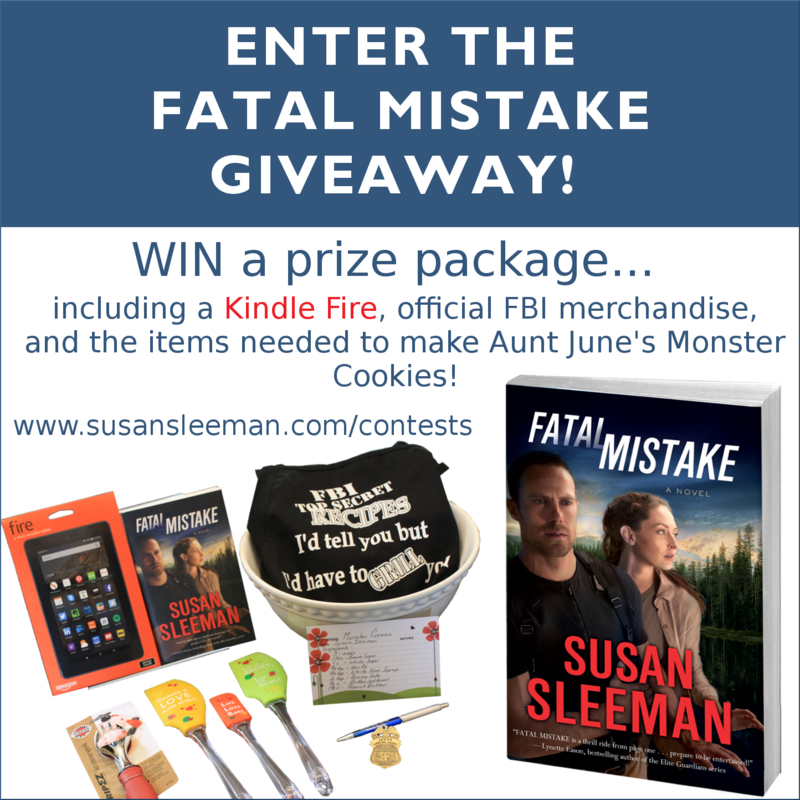 WIN a prize package that includes a Kindle Fire and Susan Sleeman’s latest release, Fatal Mistake! 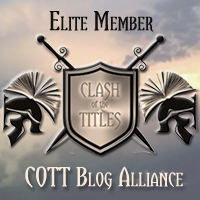 I love these author giveaways that have items linked to the book. I've read this book and loved it. My review is here. So be sure to enter the giveaway (by clicking on the red sentence above) and win a wonderful book and things that link to the story. Evelyn loves working at the orphanage and is grateful to her parents form making it happen. But she feels a huge pull towards the women who work in the red light district and have no way out. She hopes to provide a home and occupational training so they have a way out of that life. She has a donor agree to help her, but she must get the support of two other business men before she can have his help. When she bursts into the office of David Kingsman she hopes that he will help her by becoming a supporter. But David is only there to sell the business and doesn't see a reason to go against his father's wishes just to leave the project in a month or so. This was a fun book. The characters from the previous book were brought back, but the book was written in such a way that I think it would work as a stand-alone. The author uses the plot and characters to bring out some moral issues that sadly, still trouble us today. She touches on several things, but the one that stood out the most to me was the treatment of others and how we aren't better or worse that anyone else in God's eyes. While there is a lot of spiritual emphasis, I didn't feel preached at while reading. The two main characters mixed well together and their relationship was sweet. There were a few surprises that I didn't see coming and those were fun. Overall, this was a good story that spoke to me several times, while at the same time being a very enjoyable read. 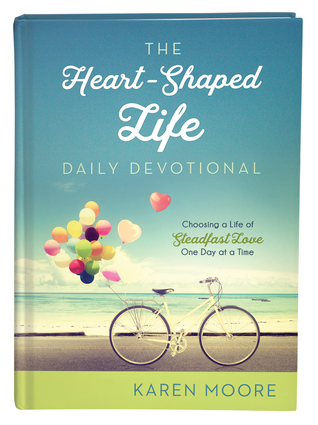 The author has written a book about love and how God fits into our lives and our hearts. Each devotional begins with a scripture, has a devotional thought, and ends with a short prayer. The colors of both the cover and the interior are beautiful and eye-catching. There is a ribbon bookmark as well. The days are numbered, but include a February 29 so the book can be used any year. The back of the book includes a scripture index for all of the texts used in the devotional. I read through the devotions and thought the author did a great job of creating thought provoking snippets that can be read quickly for the busy individual, but leave the reader contemplating them throughout the day. They are relevant and inspiring. This book would make an excellent gift, but I recommend purchasing one for yourself as well. You will be blessed by the thoughts and hope that the author brings into her writing. The cover will tempt you to pick the book up and give it a try. Overall, I would definitely recommend you get this devotional if you are looking for something with short, but thoughtful passages. Fatherhood begins when you find out that you're pregnant. And it lasts until you take your very last breath. You'll always be a father. But every father will admit that he now says or does things that he never would have imagined before he became a dad for the first time. Follow the author through the stages of fatherhood as he lists things that make you a father. This was an entertaining book. Some of the things were spot on and some didn't quite fit our family. My husband isn't big into books like this, but said it was amusing. I think this would be a great gift for a father of any age. The book is small - fits in the palm of my hubby's hand - and would fit into a small purse or book bag for those times when you only have a few minutes to read. The hardcover and attractive cover make it appealing. 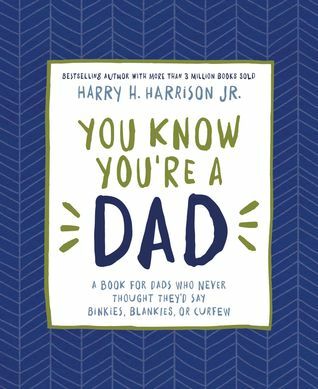 The companion copy "You Know You're a Mom" matches this book and can be combined for gifts or your own library. The artist who designed this book is a self-proclaimed “wacky” person and revels in her uniqueness. 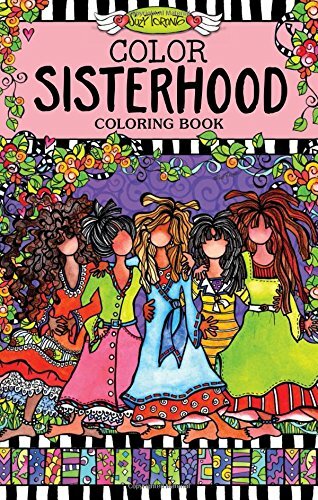 This book is all about sisterhood, and you can definitely see the author’s quirkiness coming through in the coloring pages. The book begins with some thoughts from the author, a few of the pages she’s colored herself, and some instructions on how to make each page your own. She shares full color pages of how she colored each page. The coloring pages begin with the left side almost completely blank. There is a quote in light print and a few small lines should you want to write something. The right side is the color page. This book is smaller, an on-the-go size that will fit into a purse or bag. There are three components to making a marriage a success. You must be three things to your partner, a friend, a lover, and a partner. Each of those things plays a very important part and can't be neglected. The author has taken from his own marriage and his experience as a pastor and speaker to write a book that is informative and honest. His counseling has shown him that these three parts of a marriage are essential for any marriage to flourish. The book is divided into three sections and each chapter ends with discussion questions to make the material intentional and doable. The book was well laid out and interesting to read. The questions at the back were often thought provoking and inspiring. I thought the author did a great job of addressing many of the issues within each section without going overboard with too many details. He shared honest stories about his marriage and things he has taken from his counseling sessions and talks with other married couples. 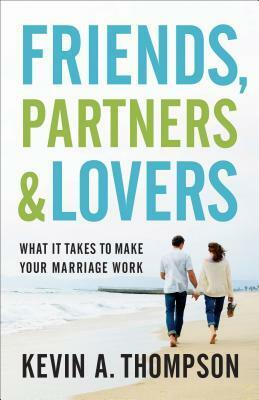 This is a great book for a newlywed or someone who has been married for many years. I would definitely recommend it. I received a copy of this book from Revell. All thoughts expressed are my own. 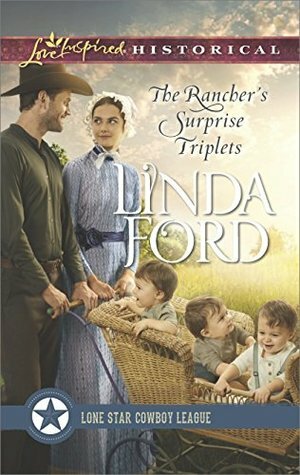 Bo, a rancher, is helping out at the town fair when he finds three little babies who have been abandoned. Trying to find the triplets mother is fruitless and he enlists the help of Louisa, the doctor's daughter. Louisa has spent most of her life helping take care of her mother and sister who are sickly. While she waits on them to arrive at their new home, she agrees to watch over the triplets until their family can be found or an adoptive family comes forward. She doesn't expect to have a family of her own since she is needed to care for her mother and sister. So when Bo starts paying attention to her, she's torn. This was an interesting story idea. The characters were well fleshed out, the descriptions gave me a great visual for the town and people. The author wove some light faith threads into the story. The plot was a little slow in places and I didn't understand the emotions or reactions of some of the characters on occasion. Also the ending felt a little rushed. But overall, it was an enjoyable story that readers of Christian fiction and historical romance will enjoy. Houston's bride was murdered at the alter. But what he learned after her death broke his heart even more. So he's decided never to trust his heart to a woman again. Lara was attacked by a ranch hand and left with a sweet baby girl. When Houston and Lara are forced to marry they decide to make the best of their marriage for the sake of Gracie, their little girl. Neither of them expect to actually like each other, or that their affection will be put to the ultimate test. This book wasn't what I was expecting at all. But I really enjoyed it. The plot was definitely different. The characters were unique and well defined, especially a couple of the secondary characters. The author did a great job of creating suspense and tension in the plot, while also weaving together a sweet romance between the couple. While there were hints to a previous story, I think the book worked well as a stand alone. Although it did made me want to go back and read the first book. 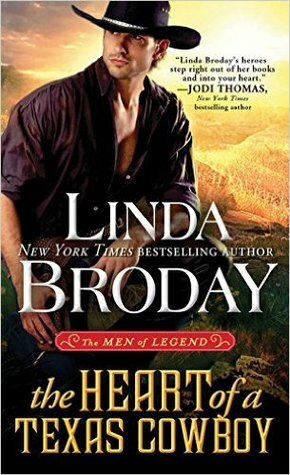 Overall, this was an entertaining book that I think fans of western fiction and romance will enjoy. The artist who designed this book is a self-proclaimed “wacky” person and revels in her uniqueness. This book is all about humor, but you can definitely see the author’s quirkiness coming through in the coloring pages. The book begins with some thoughts from the author, a few of the pages she’s colored herself, and some instructions on how to make each page your own. She shares full color pages of how she colored each page. The coloring pages begin with the left side almost completely blank. There is a quote in light print and a few small lines should you want to write something. The right side is the color page. Bible Journaling is extremely popular right now. I have a planner and a Bible that I use for this type of thing and thought I'd check out the book and see if it could be any help since I'm not an artist. I opened the cover (more on that at the bottom) and fell in love. 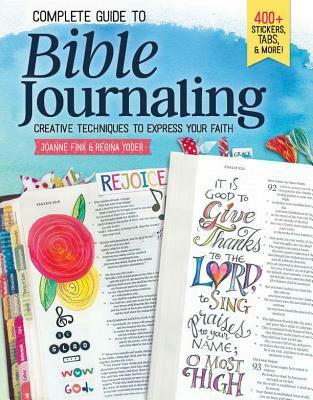 The book begins with information about what Bible journaling is and how to get started. There are then multiple pages of instructions on drawing, tracing, patterns, painting, markers, pencils, etc. The next section is all about eleven well known Bible journaling artists. The profiles talk about the artist and her style of journaling. The last section is all about styles, themes, and resources. At the back are multiple pages of designs, stickers, and vellum designs. The book is extremely colorful with tons of photographs. The information was very helpful for a person who doesn't consider themselves an artist. This is a book that I will keep and reference often. My only complaint was an issue with the front and back covers. It was on backwards and upside down. Nora considers herself the smart sister. Her older sister Willow is the beauty, her younger sister Britt is the creative one. But Nora has wrapped herself up in her identity as a librarian even more since her fiance dumped her for another woman three years ago. She's sworn off dating and spends time working on her passion of genealogy. John, a former Navy SEAL is wanting to find his birth mother. So when he meets Nora at a training session put on by his company, he decides to enlist her services. He has a girlfriend, so Nora isn't an option and they both know it. But perhaps God has another plan for them. I've really been looking forward to this book since I read the prequel. It was everything I was expecting and a whole lot more. The characters are brought alive with the author's talented writing. I felt like I was living the story along side them. I lived on the west coast many years ago and I think the author did a great job of portraying the scenery and locations. There is humor, strong families, faith, and beauty in this story. But there is also heartache, pain, and brokenness. They were woven together so seamlessly that I thoroughly enjoyed the story as I rushed to read the ending, but after I put the book down I couldn't stop thinking about different aspects of it. The other sisters have major roles in this book that will make it easy to tie in to the next book in the series. If you love strong stories, with amazing characters who are flawed, but endearing then you need to read this book. 1008 4th grade vocabulary words to improve reading comprehension and spelling skills. 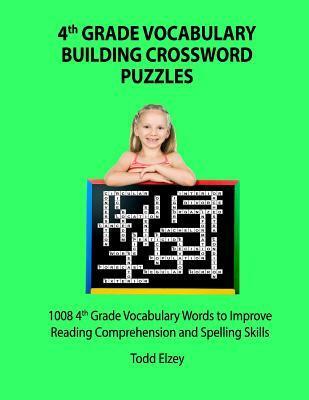 This book is comprised of 36 crossword puzzles that use vocabulary words appropriate for a child in the fourth grade. The answers to the puzzles are in the back of the book. But the author also provided online pdfs with the words used in the book so that they can be printed out, should the child need additional help. The author has an introduction where he explains where he got the words to use, what they are intended for, and also an explanation for some of the words used. My daughter is reading at a 4th grade level, but sometimes struggles with comprehension. So I thought this would be a fun way to boost her vocabulary and practice her comprehension. She really enjoyed the puzzles and asked for more once she’d completed the book. I would definitely recommend this book if you are a teacher, home school parent, or just want to boost your child’s vocabulary. 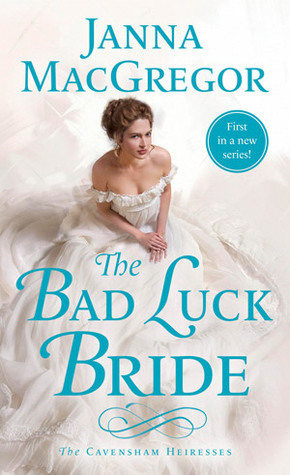 Claire is on her fourth fiance when she gets the startling news that he's backing out too. Now she's in a horrible spot. Alex is standing there when she receives the bad news and steps in as her new fiance to help her save her reputation. But there are secrets that both of them are keeping and these secrets could ruin their marriage. This was a fun historical novel. The author did a great job of capturing the feel of the time period. The characters were well defined and I loved the connection between the two main characters. The romance was sweet, but had some drama and tension as well. While this is definitely a romantic story, it also had some extra mystery, drama, and details added to the plot to make it well rounded and enjoyable to read. The secondary characters added a lot of depth to the story and created interest in the next book in the series. If I'm not mistaken, this was the author's first book and I'm really impressed. Can't wait to read her next book. I received a copy of this book. All thoughts I expressed are my own.